Enrique wears his signature cap to perform 'I Like It' for Wembley Stadium. 4. 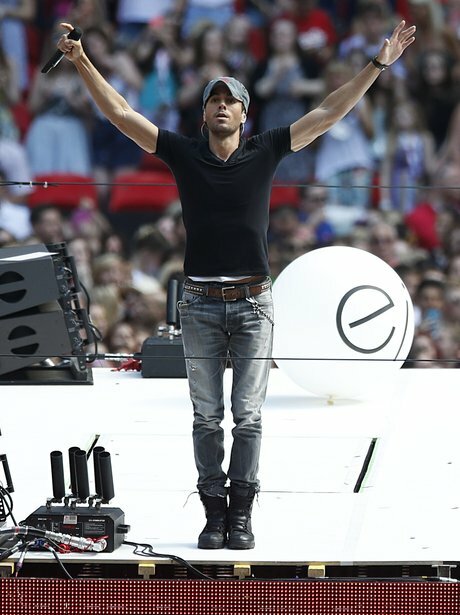 Enrique wears his signature cap to perform 'I Like It' for Wembley Stadium.